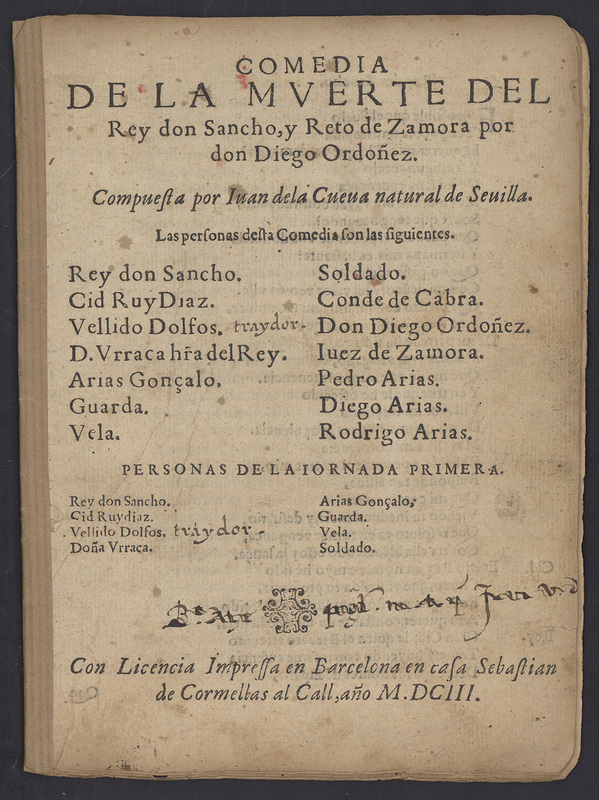 The Texas Collection of Comedias Sueltas and Spanish Theater is available for research. Individual records for each suelta are also available in an online database, providing extensive information about the collection. 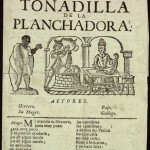 The collection includes more than 15,000 “comedias sueltas,” a generic term for plays published in small pamphlet format in Spain from the early seventeenth century through the early twentieth century. 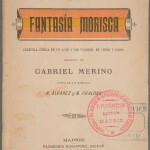 The materials at the Ransom Center have been described as one of the major collections of Spanish dramatic literature in suelta form in North America. Within the collection, more than 2,500 authors were identified of sueltas and related works published between 1603 and late 1930s. Nearly 600 sueltas at the Cushing Library at Texas A&M University were also cataloged as part of the project. 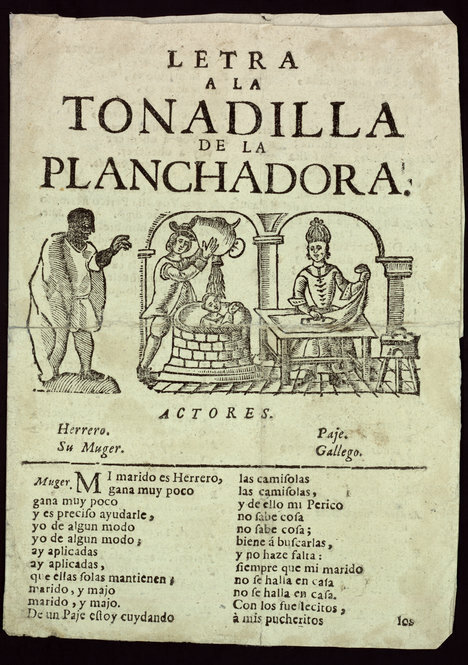 The Council on Library and Information Resources (CLIR) funded the cataloging project “Revealing Texas Collections of Comedias Sueltas” under its “Cataloging Hidden Special Collections and Archives” initiative. CLIR is a nonprofit organization that works with libraries, cultural institutions, and communities of higher learning to enhance research and teaching. 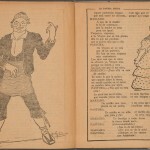 On September 29-30, the Department of Spanish and Portuguese at The University of Texas at Austin, the Department of Hispanic Studies at Texas A&M University and the Ransom Center will host the conference “The State of the Comedia Suelta: Celebrating the Texas Collections.” Held at the Ransom Center, the conference will highlight writers and/or works represented in the collection. Researchers from a variety of fields — including Hispanic literature and culture, history of the book, music, theater, bibliography, conservation, and library science — are expected to attend. Read more information about the project. The news is also available in Spanish. 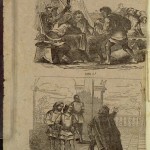 As cataloging of the Texas collection of comedias sueltas continues at the Harry Ransom Center, new features about these plays continue to be identified. The sueltas collection comprises nearly 14,000 titles published from the second half of the seventeenth century through the early twentieth century. More than half of the collection’s cataloged works were published between 1850 and 1900, which isn’t surprising as theater was the center of cultural and social life in nineteenth-century Spain. 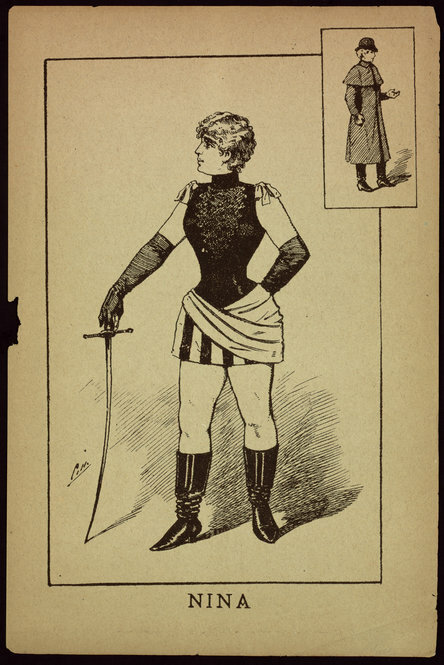 The nineteenth-century witnessed the building of new theaters, a growing audience, an increasing number of highly prolific writers, and the development of new techniques of staging and dramatic performance. One of the most prominent developments, however, was the blossoming of lyric theater, which in Spain reached its pinnacle with its very own national genre: the zarzuela. Lyric theater has existed in Spain since the 1630s, when King Philip IV started hosting performances at his hunting lodge near Madrid, known as La Zarzuela because of the brambles (zarzas in Spanish) that surround it. 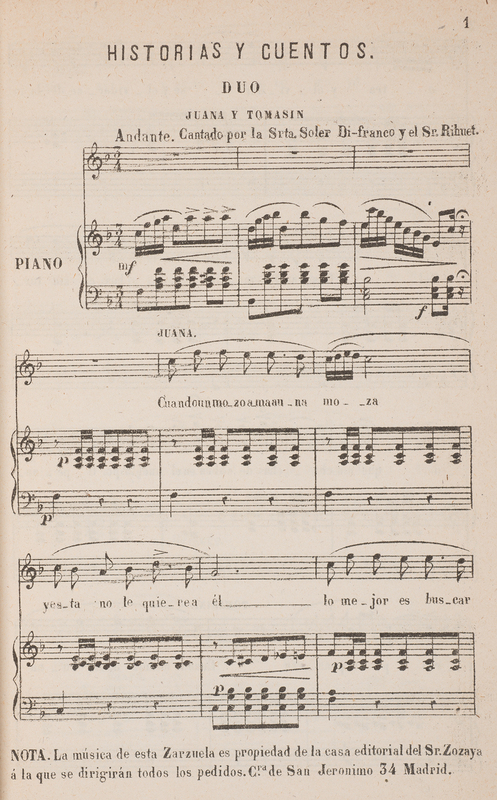 One of the earliest known performances of this genre is El jardín de Falerina written by Calderón de la Barca with music by Juan Hidalgo. 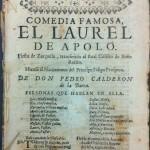 In fact, Calderón became the most prominent lyric theater author, and some of his later works, such as El Laurel de Apolo, were already being referred to as zarzuelas. When Italian opera was brought to Spain at the beginning of the eighteenth century, its popularity overshadowed the baroque zarzuelas. 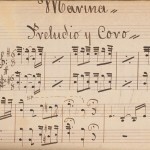 In the 1850s, while some intellectuals in Madrid were trying to create a truly national Spanish opera, other less ambitious composers revived the zarzuela. It was in the second half of the nineteenth century that zarzuelas would reach their Golden Age with authors such as Francisco Asenjo Barbieri, Tomás Bretón, Federico Chueca, Amadeo Vives, and Ruperto Chapí. 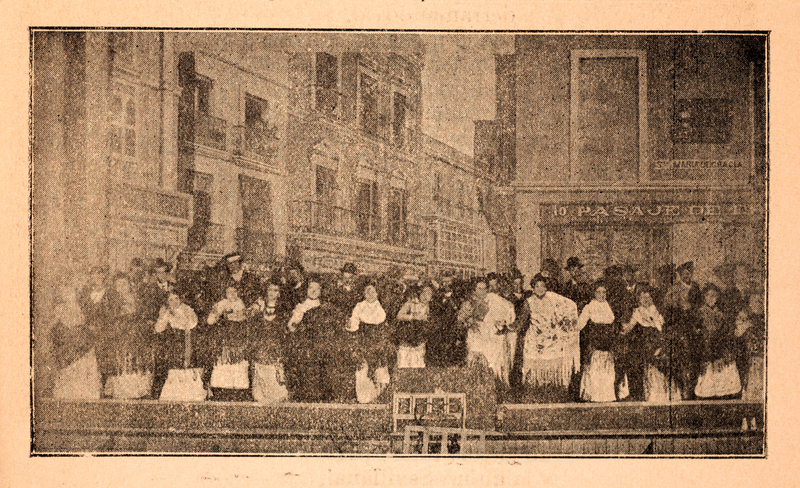 Differing from opera because it included dialog alongside singing, the new zarzuela had an excellent reception in Spanish society. At that time, Spain was going through a tumultuous period marked by the Revolution of 1868, an economic crisis, political instability, and the eventual crisis of identity brought on by losing the Spanish American War of 1898. Zarzuelas were an escape for the nineteenth-century Spanish theatergoers, much in the same way that musical films were for the American postwar public of the 1940s and 1950s. Zarzuela themes—usually love stories—were based on Spanish folklore and set in familiar Spanish locations. The plots, set mostly in the working-class districts, ranged from the buffa, or comic style, to the extremely dramatic. They were sung in Spanish and frequently included folkloric dances and costumes. Some of the most popular titles like La verbena de la Paloma, La Revoltosa, La Gran Via, or El barberillo de Lavapies are still being performed today in Madrid at the Teatro de la Zarzuela, open to the public since 1856. 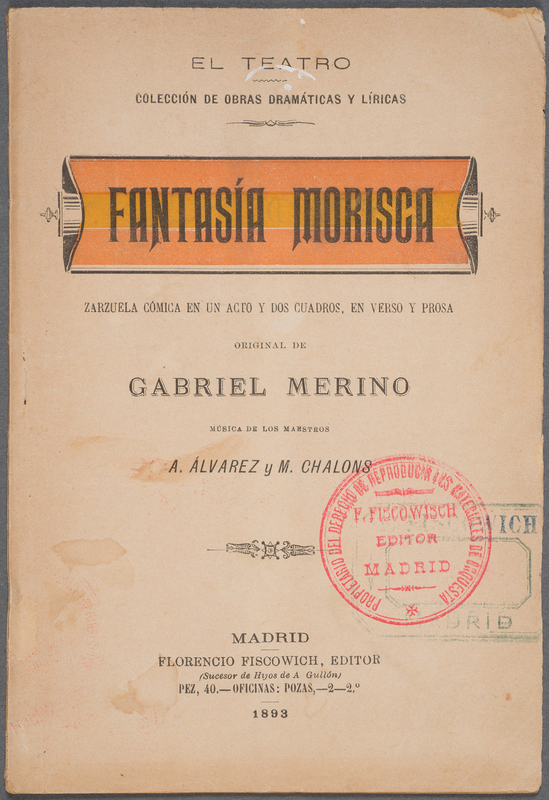 The librettos and music were generally sold separately, and the rights of reproduction were held by different entities, as can be inferred from the catalogs printed on the wrappers and the dealers’ stamps found in the cataloged zarzuelas. 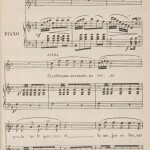 However, some of the copies in the Ransom Center’s collection include additional pages with printed or handwritten scores and lyrics. The hundreds of zarzuelas in the Ransom Center’s sueltas collection provide an excellent example of this genre’s popularity and reach. Without a doubt, these works constitute a valuable source for the study of Spanish popular culture of the period, as well as for the understanding of specific matters related to nineteenth-century theater as an organized entertainment industry. 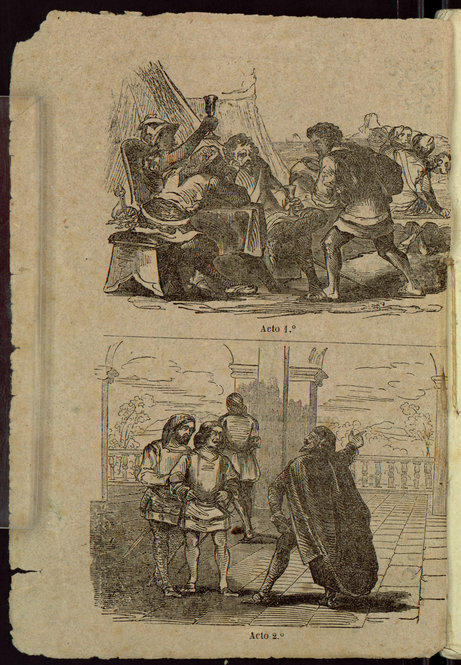 The cataloging of the comedias sueltas is supported by a grant from the Council on Library and Information Resources Cataloging Hidden Special Collections and Archives. 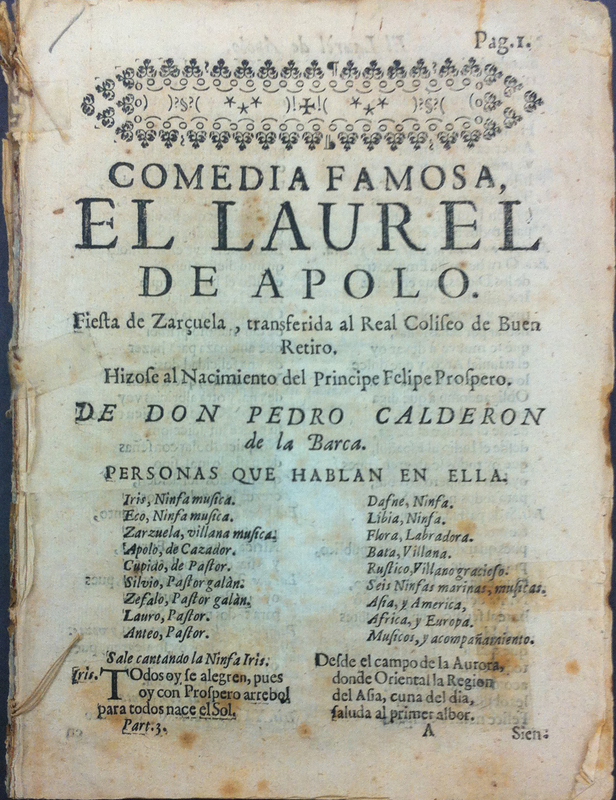 Early zarzuela by Calderon de la Barca first represented in the mid seventeenth century, printed in 1726. Illustration of typical characters found in zarzuelas. 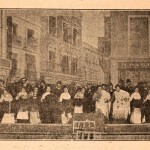 “La patria chica”, 1907. 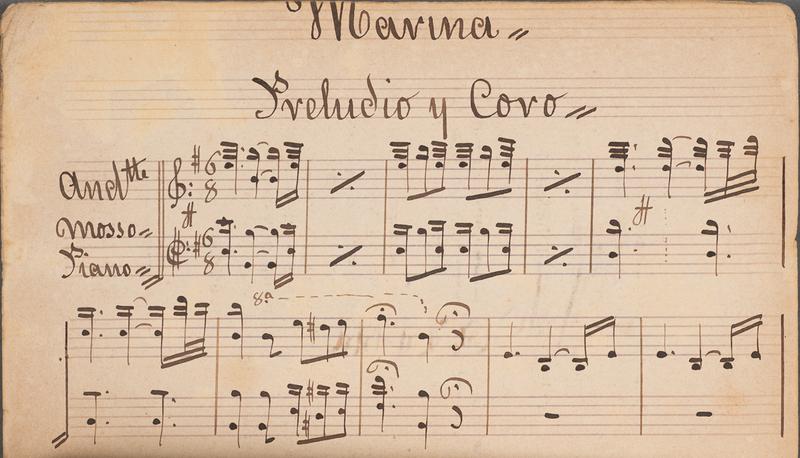 Handwritten score found on the additional wrapper from the zarzuela “El cabo primero”, 1895. Dealer stamps showing ownership rights for reproducing musical materials. Scene illustration from the zarzuela “Maldición gitana”, 1902. 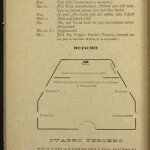 Score and lyrics for the main theme of the zarzuela “Historias y cuentos”, 1879. Note the ownership rights stated in the footnote. 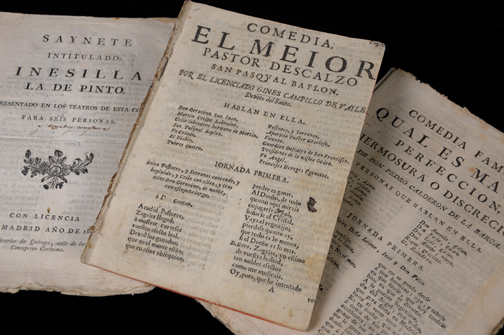 The Texas collection of comedias sueltas at the Ransom Center contains over 14,000 titles that provide valuable insight into Spanish literature from the second half of the seventeenth century through the nineteenth and early twentieth centuries. Thanks to a grant from the Council on Library and Information Resources, Cataloging Hidden Special Collections and Archives program, the cataloging work on this collection continues and is expected to be completed by February 2014. The cataloging of these items has revealed numerous interesting titles and phenomena, including illustrated sueltas. There are several categories of illustrations found in the sueltas: scene illustrations, character and author portraits, and stage diagrams. 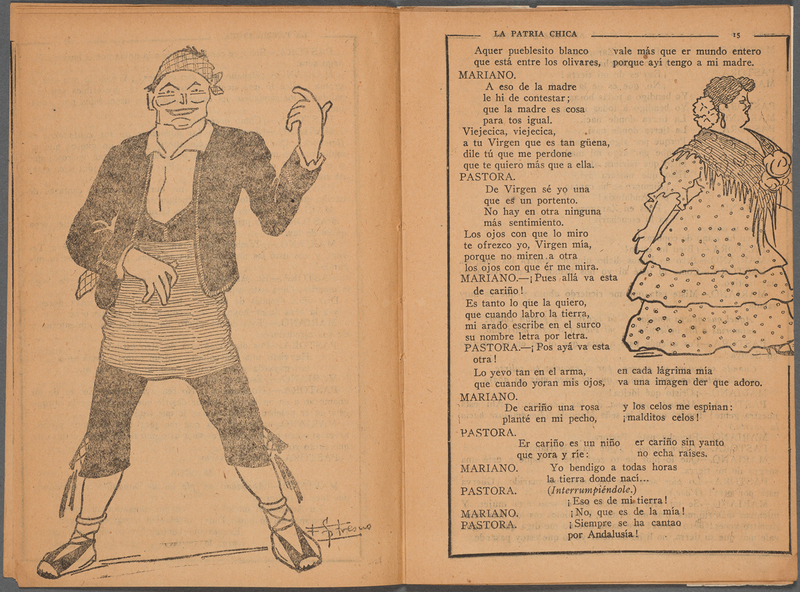 These illustrations can help scholars better visualize a performance and improve the scholar’s understanding of the appearance and character of Spanish theater. Most sueltas were not illustrated. Because the sueltas were primarily intended for performance and not general reading, illustrations may have been an extraneous expense for publishers. Furthermore, the cost of paper dictated that as many words as possible be squeezed into available space. This makes the items that do have illustrations all the rarer and more interesting. A scene illustration is often an engraving of the characters in a moment of action. The actors are shown in costume, and the viewer can see the emotions on the faces of the actors. These illustrations are perhaps the most informative about the actual conception of a play. They are also, however, the rarest type of illustration. Images of the following scene illustrations can be seen in the slideshow. 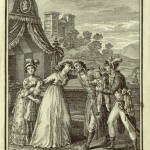 The earliest illustrated suelta dates from 1775. The sueltas at this time generally consisted of text alone. One illustrated suelta includes a fairly crude scene illustration of a child being bathed and a woman ironing. The suelta, titled Letra a la tonadilla de la planchadora, was bound with a manuscript suelta called Sacristan y la viuda. Both items have received significant conservation work to separate and repair them. Ransom Center conservators also removed a sheet of tissue mounted onto the illustration. The suelta Misantropía y arreptentimiento features a scene illustration unique for a number of reasons. First, the item is dated 1800, which is early in the suelta publishing phenomenon and even earlier in terms of suelta illustration. Furthermore, it pictures an artist’s elegant conceptualization of a dramatic moment in the play outside the confines of the theater. This engraving shows the moment taking place in “real life,” rather than on the stage. This illustration is far more artistic in nature than typical scene illustrations. The illustration in Roberto el Diablo is more typical in style of the scene illustrations found in the sueltas. For instance, note the stylized, almost cartoonish, faces and bodies of the characters and their exaggerated body language. The action is being emphasized, while the scenery lacks detail. The presence of illustrations printed on the wrapper is also uncommon. It was not until later in the century that illustrated wrappers and the use of colored ink became more wide spread. Character portraits are among the most visually interesting illustrations. They are often reproduced from photographs, so the details are generally easier to make out than those of scene illustrations. One can see what the actor looked like in full costume. 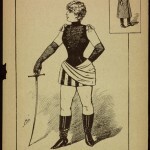 Some character portraits are produced as engravings that offer artistic representations, but still provide insight into the costumery of a main character. Character portraits tend to be of particularly interesting characters, such as the portraits of Boquerón and Nina featured in the slideshow. Boquerón and Nina are both exceedingly flamboyant characters and the namesakes of the respective plays in which they are featured. 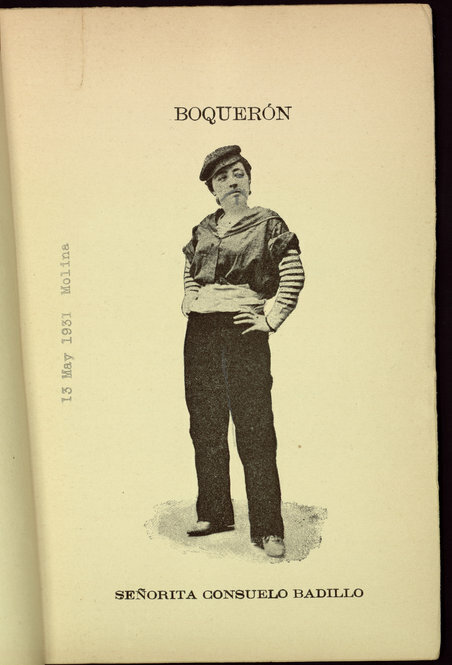 Boquerón is a female actress dressed as a ridiculous male character. Note also that an enterprising reader has added a mustache and beard to Boquerón’s face. Nina is a scantily clad woman warrior. She is later featured in a sequel called Seña Manuela in which her costumery may be noted to be equally spectacular, but certainly less risqué. 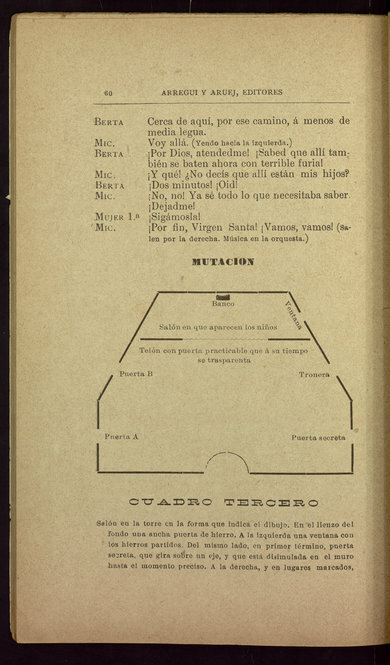 Stage diagrams are particularly illustrative of the mechanics of the Spanish theater. A diagram shows how the stage was designed and where certain important props or scenery were placed. In an adaptation of Victor Hugo’s last novel Ninety-three, the stage diagram shows how a stage is altered after a set change. Particularly interesting is the presence of the “puerta secreta,” or secret door. Furthermore, this diagram helps the reader understand how the stage blocking would have looked to a theatergoer. 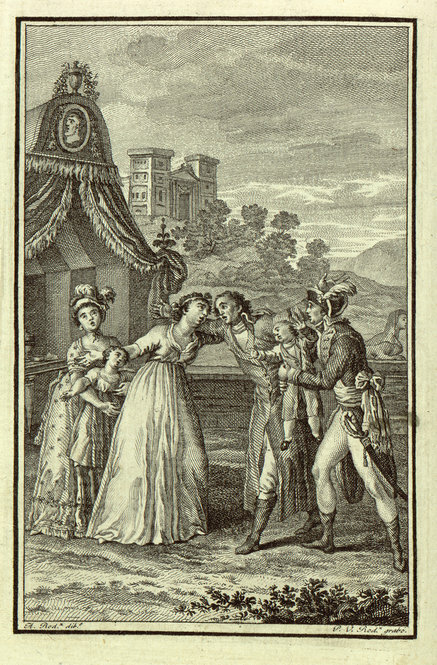 Dated 1775, this is the earliest illustrated suelta in the collection. 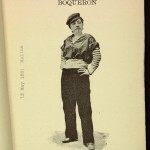 A photo of the actress who plays Boquerón, from the 1892 play of the same name. Unusual scene illustrations from the publisher’s wrapper from “Roberto el diablo,” 1865.